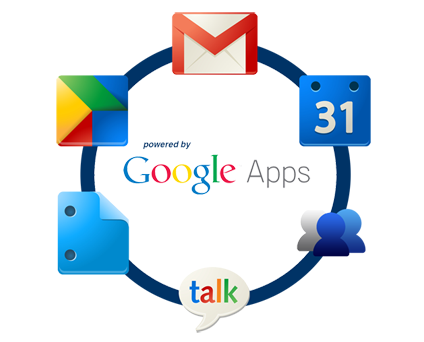 Google has announced that the free version of Google Apps is no longer available for new users. Existing users are not affected by this change and Google Apps for Education continues to be available. While new customers will have to pay $50/user/year. When we launched the premium business version we kept our free, basic version as well. Both businesses and individuals signed up for this version, but time has shown that in practice, the experience isn't quite right for either group. Businesses quickly outgrow the basic version and want things like 24/7 customer support and larger inboxes. Similarly, consumers often have to wait to get new features while we make them business-ready. Greg D'Alesandre, Senior Product Manager, Google App Engine, brings to you a good news that there's a workaround that lets you use the free version of Google Apps for a single account through the App Engine Admin Console. However, it has the limit to only 1 user per account. 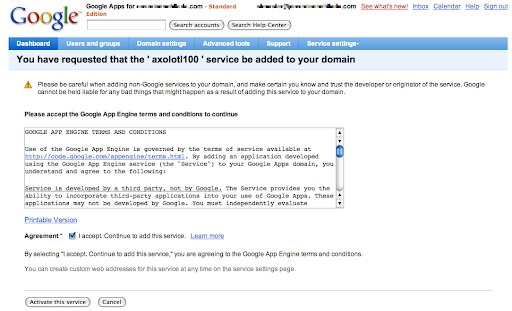 When you create a new application with Google App Engine, your app is served on the appspot.com domain. If you want your application to be served on a custom domain in addition to appspot.com, you can use a domain you already control or you can register a new one. If you prefer, you can serve your application on all subdomains in a given custom domain by using wildcard subdomain mapping. To serve your app on a custom domain, you must tell Google Apps to handle requests on that domain. Follow these steps. 1 - Go to http://appengine.google.com and click the name of the application to see its dashboard. On the left, click "Application Settings" (in the "Administration" section). 2 - Click Add Domain. 3 - If you have a domain and it's already managed by Google Apps, enter the domain name in the Domain Name box and click Add Domain, then skip ahead to step 4 in this list. Otherwise, click Sign up for Google Apps and continue with this step. Under Google App Engine, enter your app ID in the text box and click Add It Now. 4 - Read and accept the terms of service, then click Activate This Service. 5 - Click Add New URL. If you want to serve your app on the www subdomain, skip the rest of this step and continue with step 6 in this list. To serve your app on all subdomains within a given higher-level subdomain, you can use wildcard subdomain mapping: enter an asterisk in place of the lowest-level name. For example, entering * will cause your app to be served on all subdomains within your registered domain. A wildcard subdomain allows you to serve different versions and backends of your application from different subdomains, as described in More About Wildcard Subdomain Mapping. If a page appears containing instructions about changing a CNAME record, follow those instructions. The details of these instructions depend on your DNS provider (typically, this is the same as your domain registrar). Click Add, and you're done. 6 - (Instructions continue here if you're serving your app on the www subdomain.) Google Apps maps the www subdomain to Google Sites by default, so you must remove this mapping. Click Service Settings and choose Sites. 7 - Click Web Address Mapping. Click the check box for the www mapping, then click Delete Mappings. Click again to confirm that you want to delete. 8 - Click Service Settings and choose your app. It should be at the bottom of the list. 9 - Click Add New URL, type www for the subdomain name, and click Add. You're done.